Travelers decide to stay at inns for a variety of reasons. Some prefer the more intimate feel of an inn, while others are looking for value and lower rates. Our collection includes the most exceptional properties located in cities across the U.S. and Canada. These inns are known for their excellent service, unique decor and a great location for exploring the city sights. Some have great restaurants while others are next to some of the best eateries in their respective cities. Plan a romantic weekend getaway or a quick honeymoon and relax in style. Located near Santa Fe's art museums, shops, restaurants and galleries, La Fonda on the Plaza is a landmark hotel and a member of Historic Hotels of America. Inside, you will find original pieces of art and unique architectural features. The hotel was recently renovated and offers travelers top service, elegant rooms and relaxing ambiance. Guests can request a massage and relax next to the large heated outdoor swimming pool and outdoor hot tub. La Fonda has 167 colorful rooms and suites, decorated with hand painted furniture and tile murals. Some rooms have fireplaces and private balconies, great for a romantic getaway. For additional privacy, stay in one of the quiet La Terraza rooms and suites, situated around the rooftop garden. La Terraza features an outdoor hot tub, exercise room and a banquet space that can be rented for weddings and parties. Check into Tabard Inn in the Dupont Circle neighborhood of Washington, D.C. to enjoy delicious cuisine, individually decorated rooms and a calm garden courtyard. Vegetables and herbs for the inn's restaurant are supplied by the beautiful roof-top herb garden and the inn's own nearby farm. Chefs at the restaurant serve international cuisine showcasing seafood, meat and poultry dishes with a regional twist. Room rates start at $130 per night. 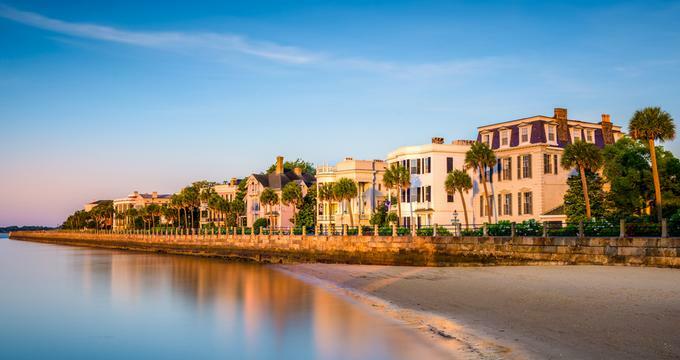 The Elliott House Inn is a calm oasis in the heart of Charleston, South Carolina, offering 25 stylish guest accommodations and a secluded courtyard with lush tropical plants. 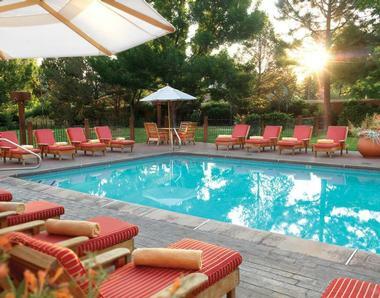 The Inn and Spa at Loretto is a romantic weekend getaway in Santa Fe. 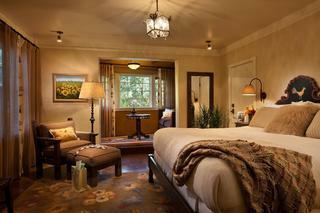 The inn has elegant guest rooms, gourmet dining and a spa with a choice of treatments for couples. 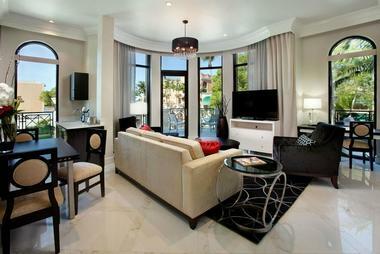 Book one of the luxury suites featuring a full living room area with a sofa and a private balcony. The full-service spa offers treatments for couples, including luxurious massages. The inn has a tranquil garden in the heart of the town, and is located just one block from historic Santa Fe Plaza's galleries, museums, restaurants and boutiques. 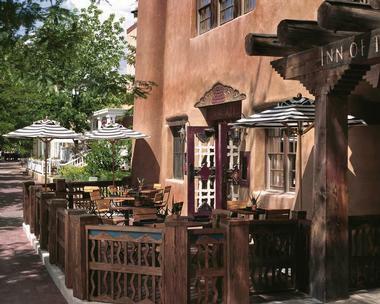 More places to stay: 15 Beautiful Romantic Santa Fe Hotels & Inns. The 32 new Club Level Suites at The Inn on Fifth in Naples, Florida are stylish and luxurious, offering guests access to a number of luxury amenities. Located in a new three-story building, the suites are a hotel within a hotel, featuring spacious layouts with balconies, custom artwork and modern furnishings. Guests receive private check-in, buffet breakfast, afternoon refreshments and evening cocktails. The Private rooftop lounge has a large hot tub surrounded by plush chairs and umbrellas. You may also like: 25 Best Things to Do in Key West, Florida. 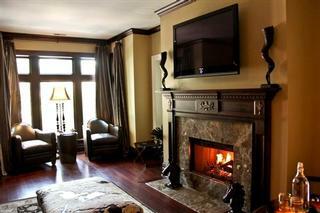 Goldener Hirsch Inn is a skier's paradise, located in the ski slopes in Park City, Utah. The luxury property offers 20 beautiful guest accommodations with views of the mountains. Guests receive five star service, including reservation in the city's best restaurants, sports activities and spas. Rates from $155. More weekend destinations: 27 Best Places to Visit in Arizona. 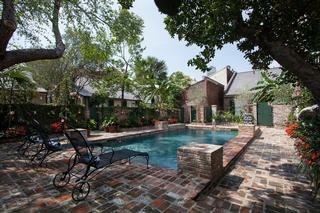 Immerse yourself in the charm of old New Orleans at Audubon Cottages. Guests are accommodated in 7 uniquely decorated cottages with heated saltwater pool access. Ask for cottages two, three or four which have private romantic courtyards. A dedicated on-site French Quarter Butler provides daily assistance, including packing and unpacking, dinner reservations and sightseeing advice. Nightly rates start at USD $300, including complimentary breakfast. Located in City Center, the Alexander Inn offers a great starting point for exploring all of the attractions, restaurants and shops in Philadelphia. Housed in a renovated historic building, the property offers 48 guest accommodations decorated with unique artwork and comfortable furnishings. In the morning, enjoy a delicious breakfast buffet which includes fresh pastries, waffles, muffins, fruit, yogurts and cereals. The complimentary day-long snack bar ensures that you never have to go hungry. Rates start at $119. More places to visit: 20 Best Weekend Getaways in Pennsylvania. The Canal Park Inn enjoys a prime location for exploring SoHo, Tribeca and Chinatown in New York City. You will be next to some of the top restaurants, shops and parks in Manhattan. The property has one guest room and three suites. Families should ask for the Baby Suite which has a children's room, small office, a full kitchen and a private outdoor deck, perfect for a cozy breakfast in the city. Rates at the Canal Park Inn start at $179, suites from $239. You may also like: 25 Best Weekend Getaways from New York City which includes many ideas for overnight stays. 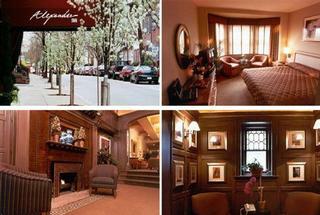 Clarendon Square in Boston offers travelers stylish accommodations decorated with original art and designed fabrics. Guests can choose from luxury rooms, a luxury suite situated on its own private floor, and an affordable Hollywood Regency-style room without a window. Ask for a Deluxe Queen room with a marble fireplace for added romance. Rates start at $145. New England vacations: 21 Best Weekend Getaways from Boston. O Canada House is located in a historic building in downtown Vancouver, minutes away from famous attractions, restaurants and shops. Travelers praise O Canada House for its great services which include complimentary 24 hour snacks, free parking, concierge services, complimentary wireless internet access and other perks. Ask for the North Suite which offers views of the Vancouver Skyline and a romantic claw-foot bathtub. Suites start from $135, including a three-course breakfast (604.688.0555, 877.688.1114). Villa D'Citta is a romantic Italy-inspired getaway near Lincoln Park's Main Strip in Chicago, offering individually decorated guest rooms and suites. You can specify preferences like a fireplace, whirlpool bath, sauna, private porch or a panoramic view when booking your stay. Villa D'Citta has a jacuzzi, sun deck, full gourmet kitchen, a private grotto and a theater. Guests can order a pizza from the villas's own stone fired oven and sandwiches throughout the day. Breakfast menu changes during the week so that you get a chance to try several delicious creations. Rates at Villa D'Citta start at $149 per night. The Marshall House is historic getaway in Downtown Savannah, GA, offering classic Southern hospitality and stylish accommodations. Guests can choose from smaller, more affordable rooms as well as spacious rooms and 3 luxury suites. The six Broughton Balcony Rooms have direct access to a veranda spanning the front of the hotel, complete with rocking chairs and flower baskets. These rooms are especially popular on St. Patrick's Day. Rates at the Marshall House start at $169 per night. Hotel St. Germain in Dallas is a luxury getaway with just seven plush suites decorated with turn of the century antiques, twelve foot ceilings and working fireplaces. Ask for one of the suites with a Jacuzzi if you are planning a romantic getaway. Guests have access to luxury services such as a butler, 24-hour concierge, valet parking and room service. 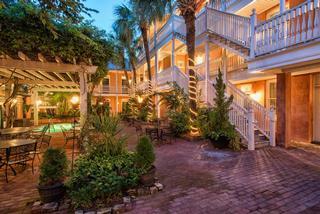 Inside the hotel, you will find two parlors, two dining rooms and a New Orleans-style courtyard. Where to go this weekend: 23 Best Things to Do in Dallas. The Inn at the Presidio is an elegant Georgian Revival-style getaway located in a quiet neighborhood near the Golden Gate Bridge in California. The property has 26 guest rooms decorated in contemporary style, complemented by historic photographs and great regional art. There is a front porch with rocking chairs and an outdoor deck with a fire pit. You may also like: Best California Weekend Getaways. 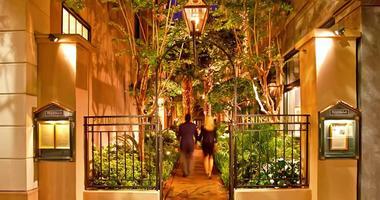 Planters Inn is situated in the heart of historic Charleston, South Carolina. 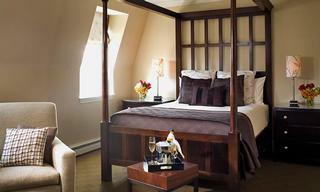 The inn offers luxury guest rooms, exceptional dining and attentive service. Breakfast can be delivered to your room in the morning on silver. During the day, explore Charleston's antique shops and art galleries, or take a romantic carriage ride on your honeymoon. Return to Planters Inn for afternoon cocktails in the Parlor. 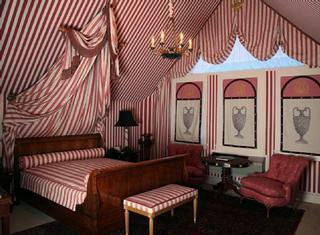 Guest rooms and suites have high ceilings, canopied four-poster beds and period furnishings. Ask for one of the rooms with a working fireplace. Peninsula Grill at Planters Inn serves haute cuisine in a clubby, informal setting. 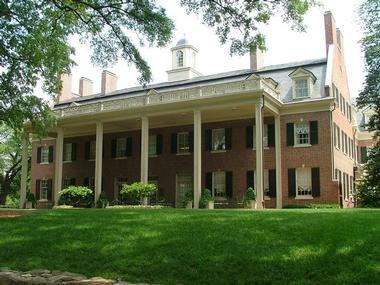 You will be surrounded by colonial charm at Morrison House in Alexandria, Virginia, just minutes from the attractions of Washington DC. Morrison House gets the highest praise for its outstanding customer service and its charming 45 guest rooms. 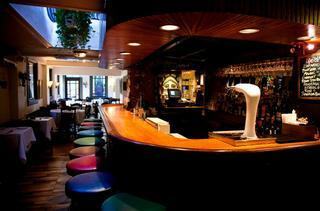 Inside, you will find sophisticated interiors and the Grille Restaurant which is one of the best in Old Town Alexandria. Rates start at $99. 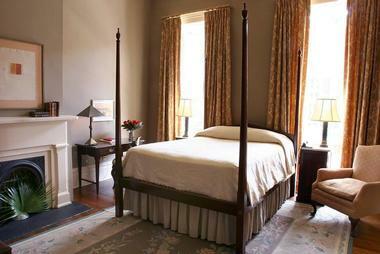 Soniat House is a romantic inn located in the historic French Quarter of New Orleans. 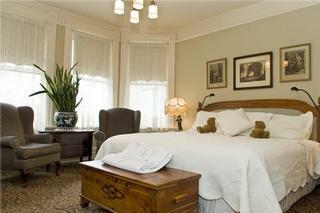 Guests are accommodated in three historic townhouses. The hotel is located in a quiet residential section of the town and features calm courtyards. 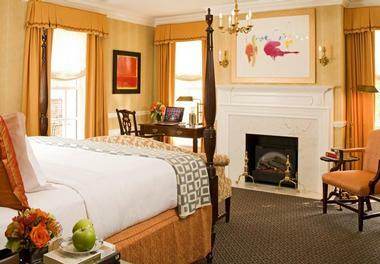 Guest rooms and suites are furnished with period antiques, lush colors and luxury fabric. The hotel has 18 rooms and 12 suites and does not accept children under ten years old. In your room, you will find Toiletries by Molton Brown, Wireless internet access and plush bathrobes. Take advantage of the inn's concierge to secure tickets, tours and last minute romantic dinner reservations. Ask about complimentary passes to the Athletic Club. Room rates start at $195 per night. Carolina Inn is one of North Carolina's romantic inns, located on the Campus of the University of North Carolina at Chapel Hill. Plan a weekend getaway, university reunion or a wedding at this beautiful historic inn. You will be just steps away from downtown Chapel Hill where you can explore shops, art galleries, entertainment and the historic Franklin Street district. The property has 184 guest rooms, including seven luxury suites, furnished with a mix of early American and English Regency styles. The inn is a AAA Four Diamond Award Winner and Member of Historic Hotels of America. The Carolina Crossroads Restaurant offers fine dining, elegant decor and a seasonal menu. The restaurant offers contemporary menus and interpretations of classic Southern cuisine. Rates start at $259 per night. The design for the Rosewood Inn of the Anasazi, located in the heart of Santa Fe, was inspired by the mud and stone pueblos of the ancient Anasazi. Guests enter this luxury honeymoon getaway through massive hand carved doors and step into a beautiful space of sandstone walls, terracotta pots, and Native American, Hispanic and Anglo art. 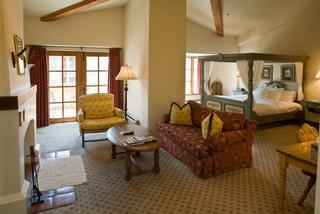 The inn has 59 guest rooms decorated with hand-crafted furnishings, four poster beds and gas fireplaces. The rooms feature natural bed linens, bath sheets and robes, as well as organic toiletries created with native cedar extract. To relax during your luxury honeymoon, enjoy a massage treatment, or borrow a video from the hotel's library. The restaurant serves southwestern dishes prepared with fruits, vegetables and organic meats and poultry, when available. The restaurant seats 92 people and is one of the best places to eat in town, perfect for a honeymoon celebration. You may also like: 17 Honeymoon Weekend Getaways. Room rates start at $326 per night.